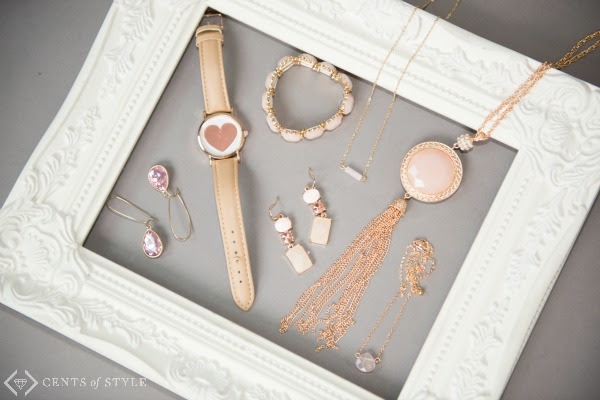 2016's Pantone colors of the year are the romantic Rose Quartz and tranquil Serenity. Both colors are pale and soothing, Rose Quartz the perfect shade of blush and Serenity an easy gray blue. Add the color of the year to your wardrobe while getting a great deal. Rose Quartz - 50% OFF lowest marked price & FREE SHIPPING w/code ROSE50. Keep an eye out for the Gwen jewel dangle earring for $7.48 & bow watch for $12.48. Pictured below. 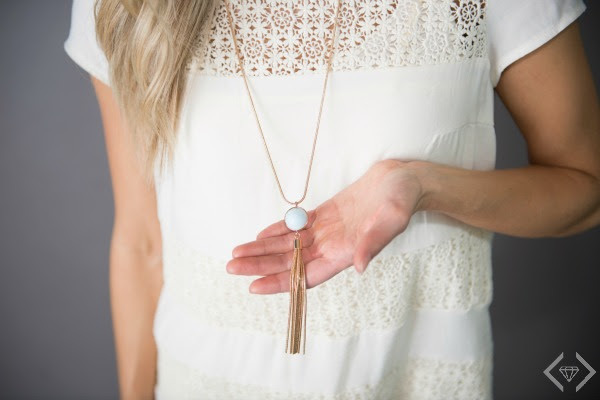 Additionally, at checkout they will be offering the Rowan circle pendant necklace for $4.99 in a great shade of Serenity blue.